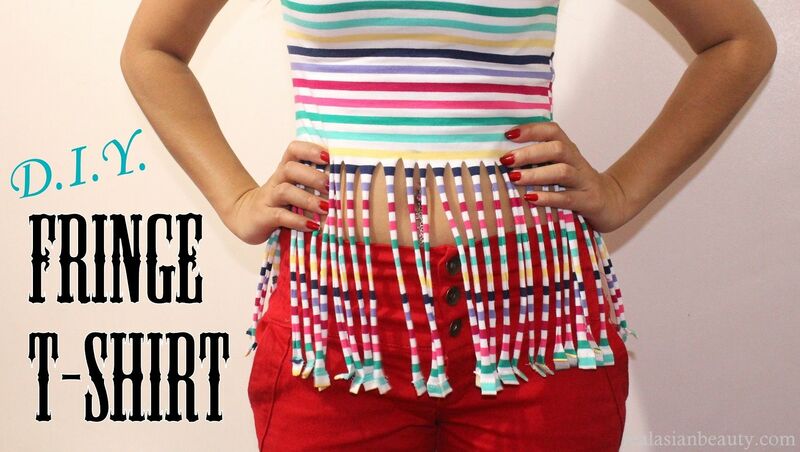 If you love do-it-yourself projects but don't have enough time or patience, then here is a very easy one that you will surely like! I used a body hugging cotton shirt. I find that the fringe come out even better if the shirt is tight on top and goes flowy at the bottom. It also helps to use striped shirt so you will know exactly where to stop cutting. I went a little bold and decided to cut the shirt above my navel. If you are a little conservative then use a longer shirt then start cutting from the hem of the shirt until the hip area. You can also make the strips thinner or thicker, it really depends on what you like. Here's how the shirt looks before and after fringing. I really love doing diy projects because it brings out uniqueness and creativity.